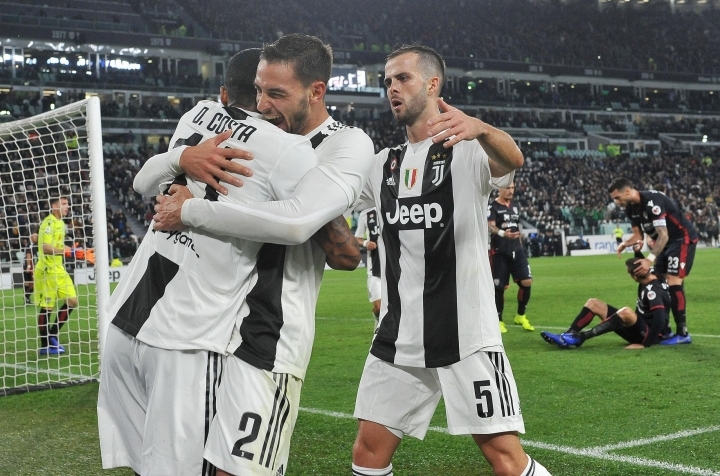 MILAN — Inter Milan and Napoli are blasting away opponents while Juventus seems content to grind out results in Serie A.
Juventus took just 44 seconds to score. Rodrigo Bentancur threaded the ball to Paulo Dybala, who twisted his way past two defenders before firing into the bottom right corner. Joao Pedro leveled in the 36th, bringing down a cross from the right and swiveling to drill into the bottom near corner. 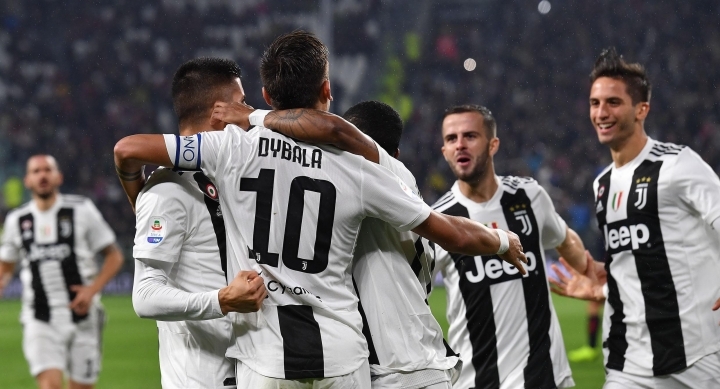 However, Juventus was back in front less than two minutes later when Croatia midfielder Filip Bradaric put Douglas Costa's cross into his own net. It was an eventful first half as each side also had penalty appeals waived away, while Cristiano Ronaldo sent an effort crashing off the left post. Juan Cuadrado sealed the match three minutes from time with his first goal of the season. 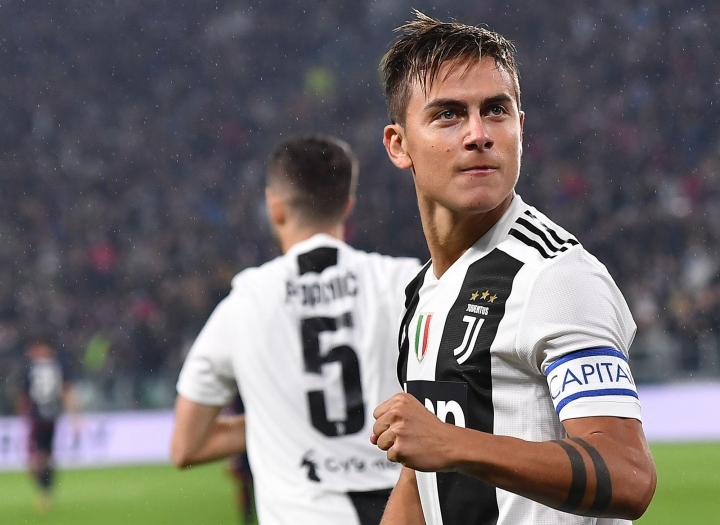 Dybala picked out Ronaldo, who ran nearly half the length of the pitch before rolling across for Cuadrado to blast it into the back of the net. 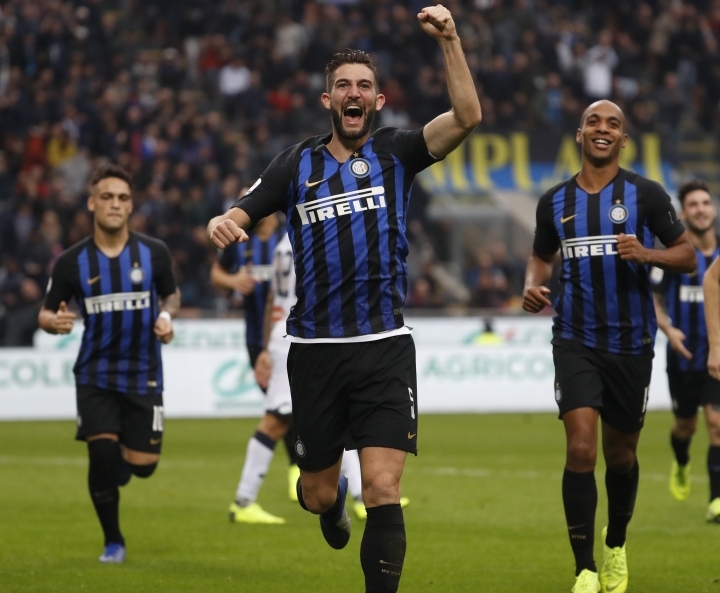 Roberto Gagliardini scored twice and Matteo Politano, Joao Mario, and Radja Nainggolan added the other goals as Inter beat Genoa 5-0 for a seventh successive Serie A win. The result will boost Inter's confidence for Tuesday's Champions League game at home with Barcelona. The Catalan club beat Inter 2-0 two weeks ago. 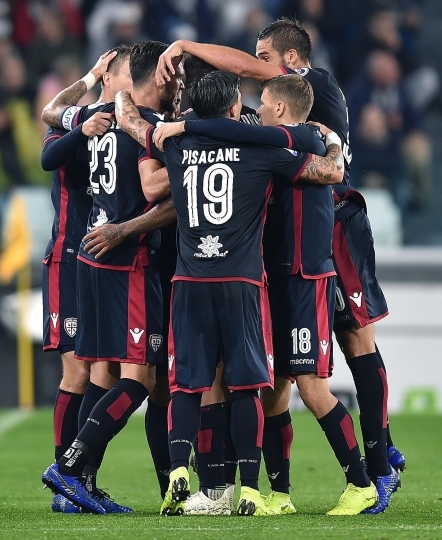 Genoa, the only team to have taken points off Juventus this season, remained 11th but only four points off fourth spot. 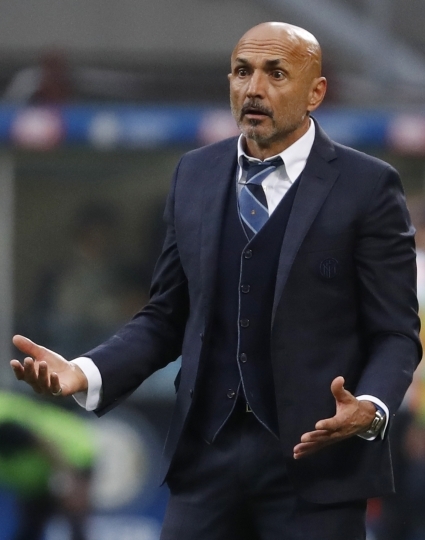 Inter captain Mauro Icardi was rested for the match, while Genoa forward Krzysztof Piatek was surprisingly also on the bench despite having scored a leading nine goals. 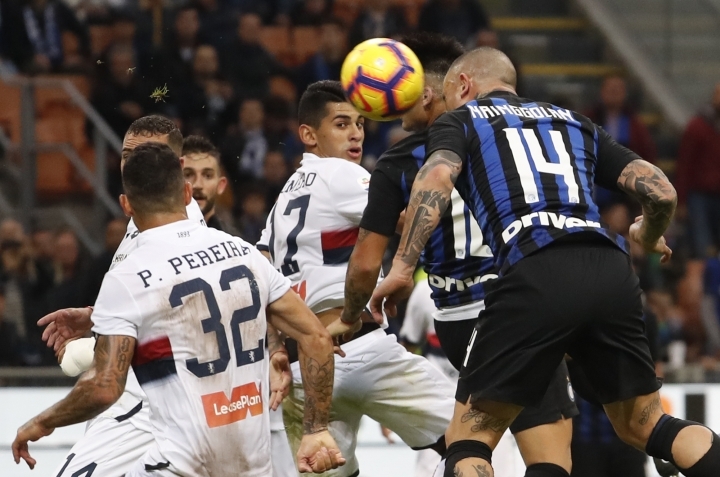 Inter took control with two goals in as many minutes — both of them following mistakes by the Genoa defense. Genoa failed to clear a ball in the area and Davide Biraschi inadvertently deflected Joao Mario's pass to Gagliardini, who swept in from six yards. Moments later, Darko Lazovic completely miskicked his attempt at clearing Joao Mario's through-ball and Politano ran on and slotted it past Genoa goalkeeper Ionut Radu — who is on loan from Inter. 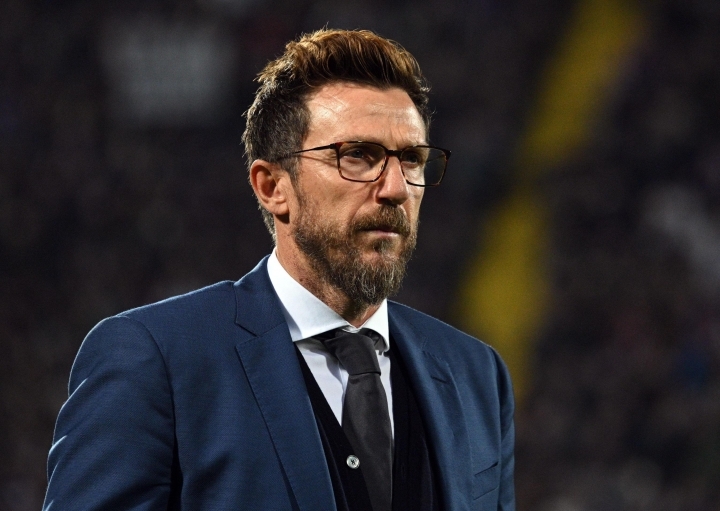 Genoa offered little, even when Piatek was sent on for former Inter forward Goran Pandev, five minutes into the second half. Nainggolan came off the bench and scored minutes later in his first appearance since injuring his ankle in the derby against AC Milan last month. Alessandro Florenzi scored late on to rescue a 1-1 draw for Roma at Fiorentina. Roma seemed to be heading for defeat when, five minutes from fulltime, Fiorentina goalkeeper Alban Lafont parried Aleksandar Kolarov's cross straight at Florenzi, who leveled with a scuffed volley. Jordan Veretout gave Fiorentina the lead in the first half with a controversial penalty after Roma goalkeeper Robin Olsen was judged to have brought down Giovanni Simeone. Both teams are two points behind fourth-placed Milan.